Dreamcast possessed built-in online functionality right-out-of-the-box, with a 56K modem adapter tucked neatly into the console’s design. Use your service provider, plug in, and jump online! 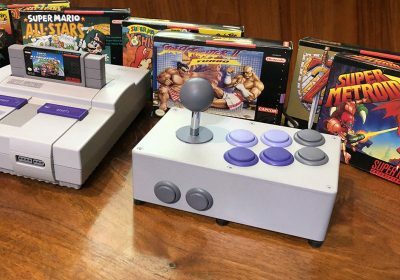 Dreamcast brought a near-perfect arcade experience home since it shared the same components as Sega’s NAOMI hardware, allowing for easy ports from arcade hits like Crazy Taxi and Marvel vs. Capcom 2 to take place in the living room. Strong First-Party Developers (United Game Artists, Hitmaker, Smilebit, Overworks, AM2, and Sonic Team) as well as third party developers and publishers (the most noteable being Capcom, Namco, SNK, Midway, and Activision). Unique inclusion of other technology such as motion controls (Sega Bass Fishing, Samba De Amigo), keyboard and mouse functionality (Quake III), voice chat for online play, a broadband adapter to replace the 56k adapter, and the Visual Memory Unit (VMU). During its brief lifespan, Dreamcast offered lots of unique gaming experiences that couldn’t be found anywhere else. Though it did not see commercial success, with Dreamcast spelling the exit of Sega from the hardware business, many great experiences and games were forged from this noisy little “console that could.” While Sega has shifted entirely to third-party software development for Mobile platforms and Nintendo hardware, the Dreamcast has a legacy that seems to continue, either through influences in modern gaming, or warmly in the hearts of gamers as they reflect on pleasant memories. One of the many reasons as to why the Dreamcast is still regarded fondly, is because of its continued support by developers fifteen years after its death. Did you know, since Sega officially stopped supporting the Dreamcast, at least 33 independent games have been commercially released or planned? The homebrew/indie scene is as lively as ever. 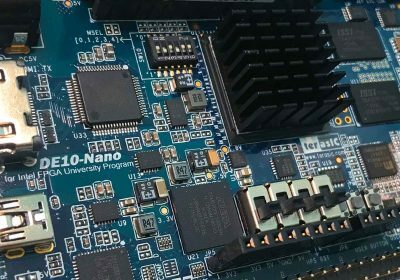 There’s work being done to revive its online gaming capabilities with some recent technological discoveries, courtesy of people tinkering with the Raspberry Pi system. That being said, 2015 has been kind to the Dreamcast. This article will call to attention the new software being released, that whispers notes of life into the Dreamcast,the console that refuses to die. 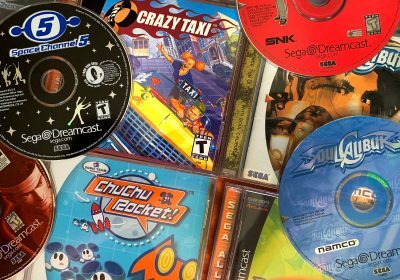 If you’re a new Dreamcast owner and looking to get the most out of your console or you’re rekindling your friendship, you could check out a few of our existing articles: The Best Dreamcast Games For Today: The Top Titles That Still Matter & Games That Defined The Dreamcast, but if you’re looking to get some new releases for your Dreamcast, you’re in luck. So far, the Dreamcast has several games released or will appear before the end of 2015, with many more still on the horizon. 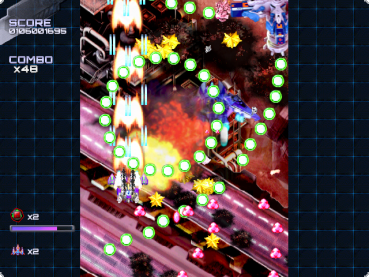 It’s no secret that the Dreamcast is renown for its shmup library, and so many games that are developed for it today have stuck to the shooter genre. So it’s some great news that some of the games we’re sharing with you step away from the shooter genre and offer something different. A fun and entertaining puzzle game where you help Sheran the tiger cub as he plays with fruit he finds in the deep jungle. 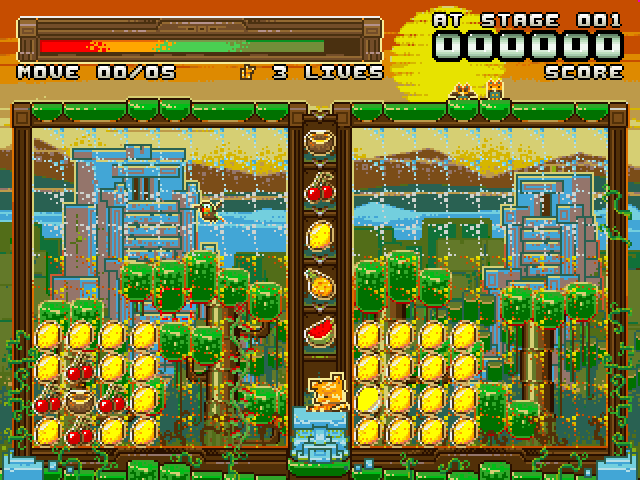 Gameplay consists of matching the left field of fruit that Sheran controls to the right field of fruit that needs to be replicated. Complete with chiptunes, a retro gaming pixel-based art style, score tracking, and over 120 levels, Fruit’Y is a great title that is sure to entertain. You can download Fruit’Y for free or pay less than $3 before shipping on a brand new copy of the game from Retro Guru’s website. Ghost Blade is a vertical shooter, released on September 27, 2015. Hucast is no stranger to independently developing games for the Dreamcast. 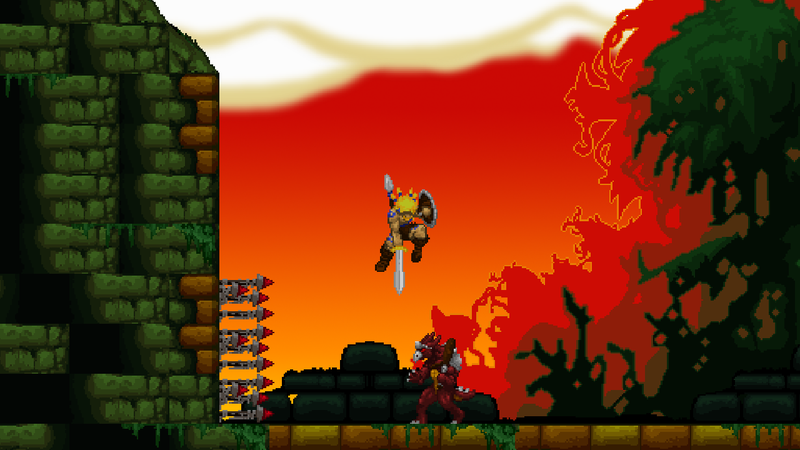 Originally released in 2013 for PC and home consoles, Volgarr The Viking is a 16-bit hack-and-slash adventure. Volgarr recently saw a much-welcomed port to the Sega Dreamcast, which had been in development but never officially released by Crazy Viking Games. Crazy Viking decided to be awesome and drop this out-of-nowhere for absolutely free, providing an image of the game on their website. There’s not many developers that are that kind to their fans. This game is quite difficult, with many instant deaths when you let your guard down. There are many different types of enemies which require different strategies to overcome. The best example to compare it to is a Castlevania meets Demon Souls for a wild, side-scrolling, slash-fest. Boasting crisp graphics, a soundtrack that thumps to the action, tight controls, and challenging gameplay, Volgarr will cost you nothing and offer hours of fun. You can download Volgarr here. Elansar & Philia is actually two games, both from the point & click adventure genre, not far from the Myst Series. 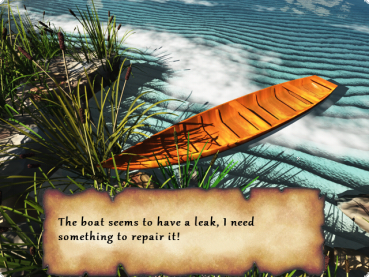 The story revolves around exploring an island you’ve washed ashore, trying to repair your boat that has been damaged. Exploration of your surroundings and solving puzzles are big gameplay components. The game provides a pleasant, relaxing ambience thanks in part to its music, sound effects and landscapes. A big plus is that this game supports the Dreamcast mouse, so if you enjoy point and click games but don’t wish to poke around with the analog stick, you’ll feel right at home plugging in that Dreamcast mouse you’ve got sitting around. Interestingly, the game also supports the rumble/jump pack for Dreamcast. 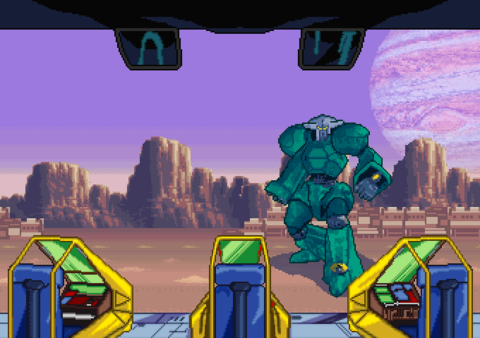 The graphics have some grain to them which is to be expected, but there’s no slowdown or frame skipping. Philia is the sequel to Elansar, and adheres to the same principles as the first game. This time you are out to save your husband while also exploring some of the main character, Elina’s subconscious mind. I admit I haven’t spent as much time with Elansar as Philia, but the first game didn’t disappoint and you can get both games from Play-Asia in one package for $29.99. It’s unique to get a game from this genre on the Dreamcast, and it will provide you some entertainment and replay value as well. 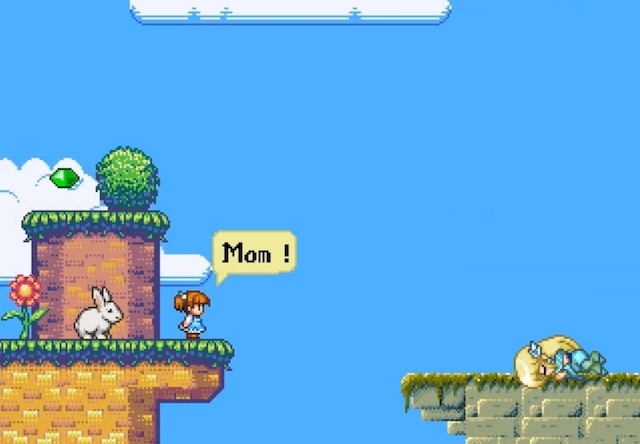 Alice’s Mom’s Rescue is a 2D platformer, with a graphical style that personally reminds me of the Wonderboy / Monster World Series. You navigate stages, grabbing keys to doors within each level while you attempt to save your mother, who was captured by a giant raven. You avoid spikes, lava, and other hazards, and solve puzzles by adding in a simple mechanic that allows you to change Alice’s size, by hopping on mushrooms located in the stage. It offers some crisp graphics with a charming soundtrack. It might present some challenge, and it’s not often that you’ll see a platformer show up for the Dreamcast. You can purchase Alice’s Mom’s Rescue on Play-Asia. Leona’s Tricky Adventures is an Exploration Puzzler Game. It has an interesting story behind its development. It started with a failed Kickstarter, canceled by KTX in anticipation of it not reaching its goal. The game was available for preorder some time after that, with the game finally releasing for Dreamcast earlier this year. The game is also available on Steam, seeing a release date of November 11, 2014. The gameplay is similar to Fruit’Y, but provides a different art and music style that is unique and pleasant on the eyes and ears. The game’s soundtrack was composed by Chris Huelsbeck, known for the Turrican series. 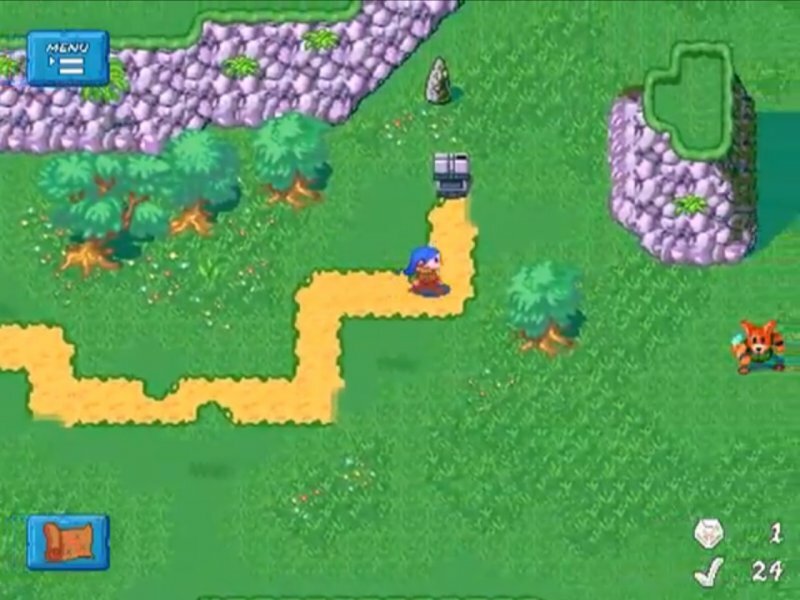 The game also includes some story and an overworld to explore as you play through the game. You can see an official Dreamcast Trailer here. The one caveat is that finding a physical copy might be a challenge, as KTX had originally planned to release the game for Dreamcast through Kickstarter. It’s virtually unknown if the game has had a physical release or if you can find an .iso to burn for yourself. Please let us know in the comments if you’ve had success finding this game where we have not. This upcoming game is particularly exciting for some of our readers across the pond, mainly our European audience. Saber Rider and the Star Sheriffs was a popular anime-space-western series in Europe in the ‘80’s, made by the Japanese anime studio “Studio Pierrot”. It is similar to many popular series at the time, like Gundam or Macross. The difference is that Saber Rider and the Star Sheriffs never received its own video game, until now. 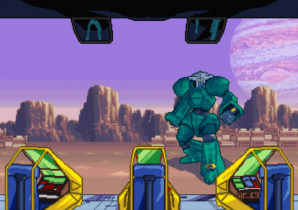 Saber Rider and the Star Sheriffs will be an arcade-style run and gun, similar to Sunset Riders or Contra, with unique boss battles. This game looks gorgeous so far and definitely embraces the ‘80’s arcade 16-bit style. A Kickstarter ending in October brought the team $96,591 in funding, to be released on Dreamcast, Steam, Nintendo 3DS, and PC Engine. The team hopes to release the game by November of 2016, and you can still preorder the game with paypal through their Kickstarter page. Regardless of which platform you choose, this is a game that should be considered if you like run-n-gun arcade goodness! For those who enjoy their shooters with a little bit of psychological distress, Hypertension: Harmony of Darkness could interest you. 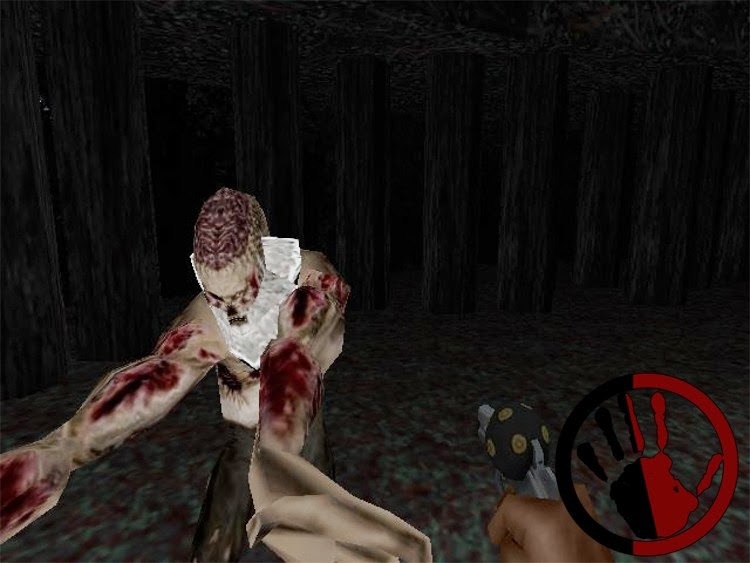 For gamers who have enjoyed the Condemned Series, The Darkness, or others, Harmony: HOD integrates thriller or paranormal elements into a unique first person shooter for the Dreamcast. The game focuses on a protagonist, Feolina, who suffers from numerous mental health concerns. Feolina finds out that the town she has been moved to is cursed and is causing her mental state to deteriorate. Initial screenshots look impressive, complete with a dark ambiance and atmosphere. There’s not many first-person shooters that currently exist on Dreamcast, so we hope that this game continues to look promising. 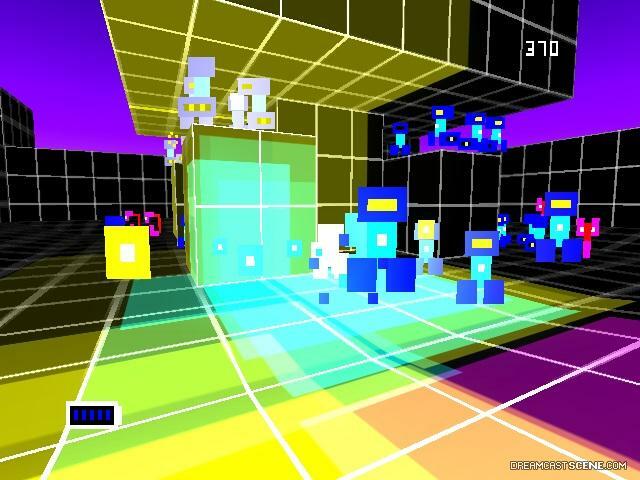 Jay Townsend/Istope Softworks /published by GOAT Store, Q4 2015 – First-person arcade shooter. Using an enhanced Doom engine called 3DGE, SLaVE is a first-person arcade shooter that pays respect to the arcade shooters of the ‘80’s. The graphics and gameplay are interesting and unique, you character frantically fires away bullets at numerous enemies shooting back at you. An official trailer from November 2014 highlights some of the gameplay footage. Glowing with neon graphics and backdrops and published by GOAT Store, the game should see a release sometime in the near future, though news has been light as of late. The latest news came from SegaBits in April 15, which stated the game was in final bug testing. You can also seek updates on the game’s official Facebook page. SLaVE is available for pre-order on the GOAT Store Website. 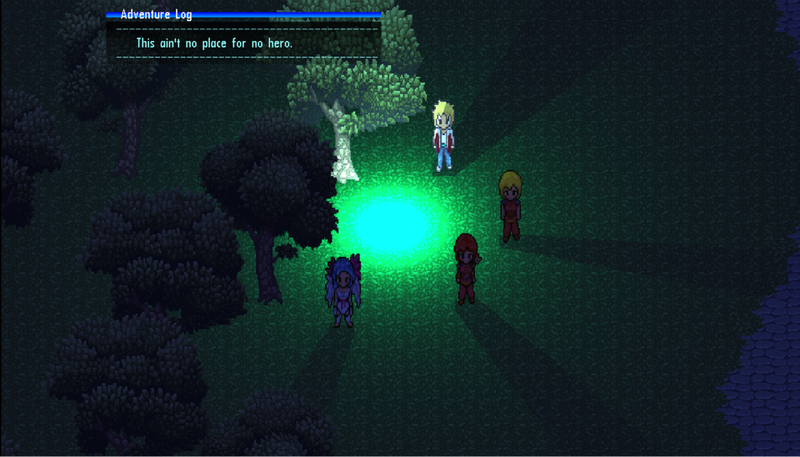 WaterMelon Co. – next-gen 2D role-playing game. Elysian Shadows, another game by WaterMelon Co. is a 2D role-playing game, taking influence from 16 bit adventure/RPG games. 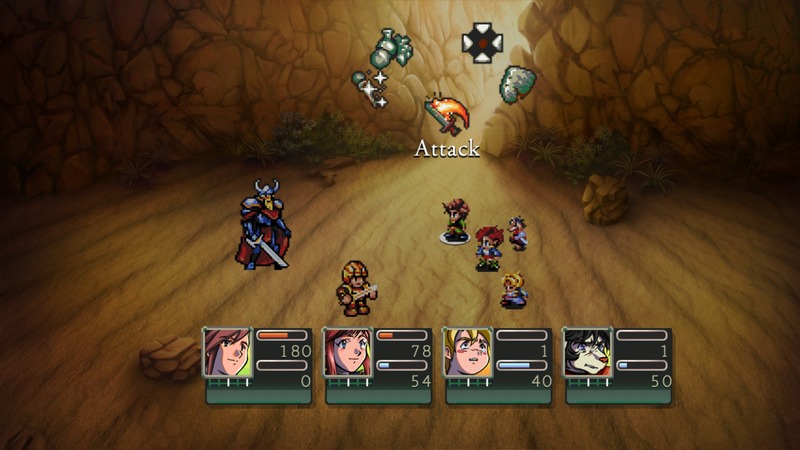 From early demos, the game appears similar to classics like Legend of Zelda, Chrono Trigger, and Secret of Mana. WaterMelon Co. wishes to take the heart and soul from RPG’s of old and push what made those games great by fusing 16-bit RPG elements with 3D environments, dynamic lighting, shadows, physics, and positional audio. A successful Kickstarter Campaign brought forth over $185,000 in pledges to bring this game to multiple platforms. This is coming from the same development company that released Pier Solar and the Great Architects. The game will be a labor of love and pay homage to great games that predate it. Pier Solar is a traditional role-playing game that garnered much attention and is another game created by WaterMelon Co. Pier Solar has received plenty of critical praise and acclaim. However, the game has been reasonably criticized for its multiple delays throughout the course of its development. Seeing release initially on Sega Genesis before being ported to PlayStation 3 & 4, Windows, OS X, Ouya, Wii U, and Xbox One, Dreamcast owners are still patiently waiting to own this one for themselves. Originally announced for the Dreamcast on Pier Solar’s KickStarter Page, the game was reported to have been received by those that had pre-ordered it, and there are some additional ways to order it, beginning November 11, 2015. 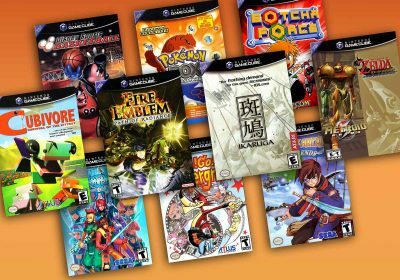 So if you’re looking to add an RPG to your Dreamcast’s library, you could do a lot worse! I’m looking at you, Time Stalkers. Alice Team – A “Crazy Bomberman-like game” – Official Kickstarter Website. Alice Dreams Tournament is a recent announcement for the Dreamcast. It does not bear any affiliation to the aforementioned Alice’s Mom’s Rescue. The Alice Team, hailing from France, recently completed a successful Kickstarter campaign, raising €28,101 past their initial €8,000 goal. 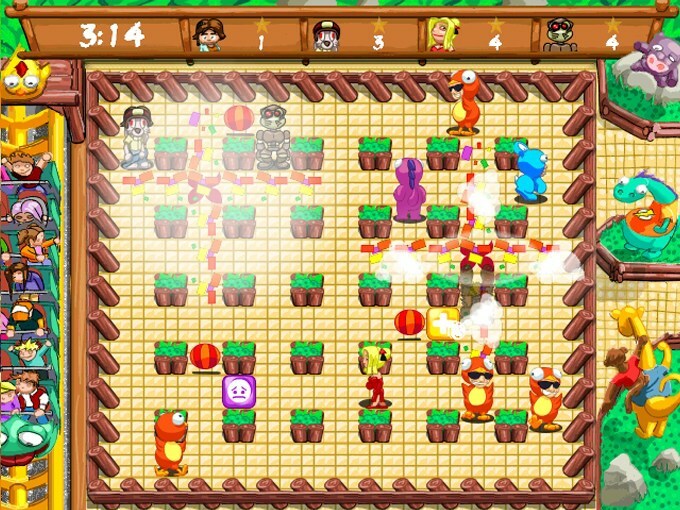 The game plays like a Bomberman title, with four player multiplayer, lots of wacky characters, and several different game modes. A neat feature is being able to locate your enemies on the VMU screen. So far the early impressions is that a lot is being offered in this game, certainly more content than what the exciting Bomberman Online provided for the Dreamcast gamers years ago. Definitely one to keep your eye on as development continues. The team is hoping for a June 2016 launch. 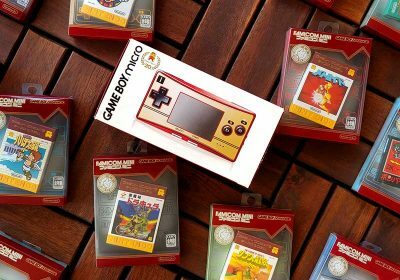 It’s quite compelling to see that a console whose life spanned only three years, continues to see games in development today. Whether it be the ease of development or a devoted group of enthusiasts who love the Dreamcast, it’s great to see the console receive new software to be enjoyed. 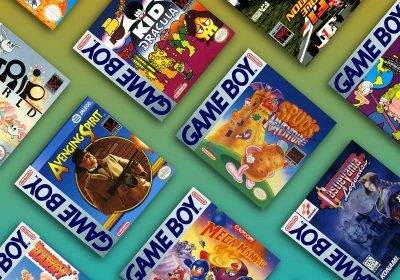 If you know of games that haven’t been mentioned, or you want to weigh in on what games we’ve covered in this article, please share your thoughts in the comments! slikwilly, there are ~$30 boxes you can buy that convert S-video to component, or VGA (like the Dreamcast VGA box) to HDMI. You could also hunt on Craigslist for a used tube TV. Some great deals abound on Sony WEGA Trinitron TVs. I’d also like to note that I had no idea the Dreamcast indie scene was still so active! I knew it was one of the busier scenes, but this is cray cray. slikwilly, check aliexpress for a cheap chinese upscale box, search for “avi2hdmi” it works like a charm for me. @ slikwilly – You Component green Input likely also a shared Composite input though anything not HD will be upscaled blurry. For best results get a VGA adapter for the Dreamcast; might work if your HDTV supports 640×480 mode. SLAVE is the game that really caught my eye. In addition to swarms of enemies of Robotron and the hunt to kill FPS of Doom, looks like a bit of neon graphic inspiration of REZ! Wow! I have the DC VGA adapter and then have that connected to a VGA -> HDMI box and connected into my tv. Works great with no noticeable lag that I can see. Great post, but I would like to make a slight clarification. Elysian Shadows is not by Watermelon, it is by Falco Girgis, AKA Gyrovorbis.